Do you have a strong desire to be a part of something bigger and more challenging? Do you feel a deep desire to be part of a team whose mission is to help the community both individually and as a whole? Consider joining Arvada PD! Requirements: The Arvada Police Department is committed to hiring quality individuals. Learn about the requirements to working with Arvada PD. Disqualifications: Specific criteria will disqualifiy an individual from any position with the Arvada Police Department. Learn the disqualification criteria. Pre-Employment Polygraph Information: All candidates for employment with the Arvada Police Department are required to submit to a pre-employment polygraph. Contact Recruitment: If you're interested in a career with the Arvada Police Department, please get in touch with one of our recruiting officers today. Application Process: Learn more about the application process. Selection Process: We have an in-depth selection process which involves several important steps. Please familiarize yourself with them. Training: Candidates who are offered employment and are not certified as a Peace Officer in the State of Colorado will attend a police academy at the expense of the police department. Police Salary and Benefits: The City of Arvada offers a competitive employment packs. Learn more. Lateral Entry: Any current lateral law enforcement officers in Colorado may apply. Interested out-of-state lateral candidates must qualify for certification under Colorado POST regulations. Special Assignments There are many special assignment opportunities available at the Arvada Police Department for those with special interests. 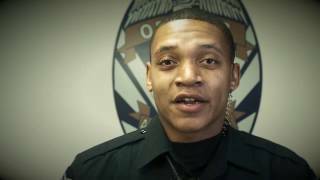 The Arvada Police Department offers an exciting, challenging and rewarding career. We offer a unique opportunity for career development through large numbers of specialized assignments and supervisory positions. Explore benefits, career paths, and much more at BeACop.CO.